We would like to THANK everybody for participating in the workshop. 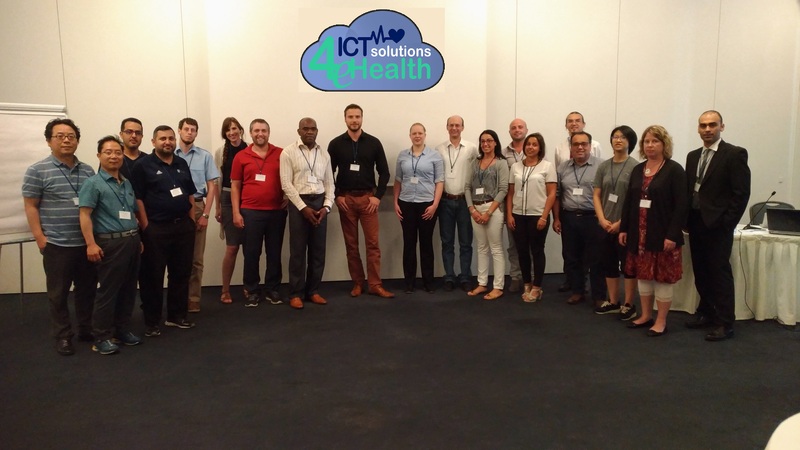 ICTS4eHealth 2017 is the second edition of the International IEEE Workshop dedicated to ICT solutions for e-Health, especially based on Cloud computing, Internet of Things (IoT), and Computational Intelligence. Review manuscripts should describe original work and should be no more than 6 pages in the IEEE double column proceedings format including tables, figures and references. Note that only one additional optional page can be added with an additional fee. At least one author of each accepted paper is required to register to the conference and present the paper. Only registered and presented papers will be published in the conference proceedings. Accepted papers will be included in the ISCC 2017 Proceedings and will be submitted for inclusion to IEEE Xplore. The IEEE ISCC Proceedings have been indexed in the past by ISI, dblp and Scopus. This makes the IEEE ISCC conference one of the publication venues with very high visibility and impact in both Computer and Communications areas..
5. To be published in the IEEE ISCC 2017 Conference Proceedings and to be eligible for publication in IEEE Xplore, an author of an accepted paper is REQUIRED to register. Each paper accepted for IEEE ISCC 2017 Workshops must be registered with a Workshop Registration (either IEEE Member or Non - IEEE Member). Each Workshop registration can have a maximum of two papers associated. Notice that the Student Workshop Registration (either IEEE Member or Non - IEEE Member) is not applicable for authors. We remark that the IEEE ISCC 2017 main confrerence and IEEE ISCC 2017 Workshops are co-located events that require separated registrations, so that it is not possible with only one registration (Conference or Workshop) to register both one paper for the IEEE ISCC 2017 Conference and one paper for an IEEE ISCC 2017 Workshop. In order to be included in the IEEE ISCC 2017 proceedings, each paper MUST BE PRESENTED by an author of that paper attending the conference unless the TPC Chairs grant permission for a substitute presenter, arranged in advance of the event, and who is qualified both to present and answer questions. Non-refundable registration fees must be paid prior to uploading the final IEEE formatted, publication-ready version of the paper. Accepted, registered, and presented papers will be published in the IEEE ISCC 2017 Conference Proceedings and submitted to IEEE Xplore as well as other Abstracting and Indexing (A&I) databases. • Create an IEEE PDF Express Account by logging into http://www.pdf-express.org/. Enter the following Conference ID = 41153X and your email address and password. • An online confirmation will be displayed and an email confirmation will be sent verifying your account setup. Upon successful validation, you should receive an email with your PDF eXpress certified camera-ready file. Upload this file as your final manuscript to EDAS. Submission deadline: March 27, 2017 April 12, 2017 - extended and firm! The conference will be held at the Aquila Atlantis Hotel, Heraklion, Crete, Greece.. Please refer to the Conference Venue and Travel Info on the IEEE ISCC 2017 website for any participating information including Workshop venue and travel. 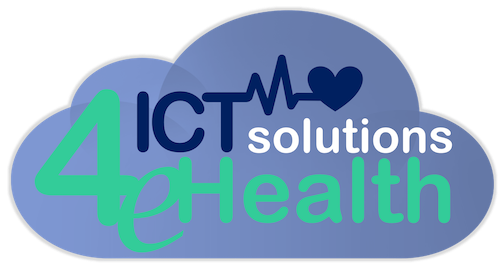 Nowadays, all over the world, the number of ICT investments in health and well-being is rapidly increasing. In this context, there is a growing interest about telemedicine that allows the provisioning of various kinds of health-related services and applications over the Internet. The benefit of telemedicine is twofold: on one hand, it pushes down clinical costs and on the other hand, it improves the quality of life of both patients and their families. Telemedicine solutions are typically aimed at tele-nursing, tele-rehabilitation, tele-dialog, tele-monitoring, tele-analysis, tele-pharmacy, tele-trauma care, tele-psychiatry, tele-radiology, tele-pathology, tele-dermatology, tele-dentistry, tele-audiology, tele-ophthalmology, etc. In recent years the rapid advent and evolution of emerging ICT technologies (such as Internet of Things (IoT), Cloud computing, Edge computing and so on) is revolutionizing telemedicine. This special issue focuses on emerging networked computer applications in all the fields of telemedicine. • Evolutionary computing and swarm intelligence applications for e-health and tele-health.